With a shoreline overlooking the Atlantic, and awesome weather conditions Nova Scotia in Canada is the place to be. Here are the must see sights of Nova Scotia, including the Cabot Trail, Bay of Fundy, Lunenburg and more. 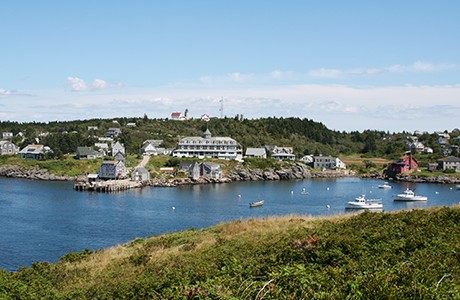 A province in east Canada, Nova Scotia is an area that covers 21, 000 square miles. Its shoreline overlooks the Atlantic Ocean, with its history, landscape and weather very much associated with the sea. The capital of Nova Scotia is Halifax, where you will find world known restaurants, fresh maritime air, a beautiful waterfront and some of the nicest people you will find in Canada. Nova Scotia is one of the most beautiful scenic places in Canada, and whether you are looking to go shopping, visit heritage museums and houses, or you are interested in some of the best seafood, or you are an outdoors person looking for the latest adventures, Nova Scotia has something special for everyone. 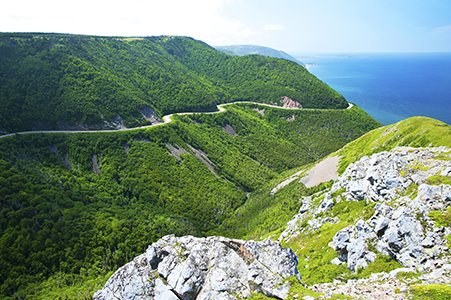 The Cabot trail is a 300-kilometre drive that goes around the island and Cape Breton Highlands National Park. It is a coastal route where the two highest mountains in Nova Scotia meet the Gulf of St Lawrence in a very scenic and dramatic way that takes the breath away. A lot of beautiful communities’ line the route and autumn is the best time to drive through with the trail taking on gorgeous vibrant fall colours. The phenomenal Bay of Fundy is one of the seven wonders of North America with the highest tides in the world, rare Whales, semi-precious minerals, and dinosaur fossils. The bay has a diverse coastal landscape of breathtaking cliffs, sea caves and rock formations. The high tides create unique conditions for whales and seabirds. Baddeck is one of the most popular destinations for visitors in Cape Breton Nova Scotia and is considered to be the beginning and the end of the world famous Cabot trail. Baddeck has something for everyone including; spas, luxury accommodation, hiking sailing, fine dining and camping grounds. During tourist season Baddeck hosts a weekly community market every Wednesday that features local produce, foods, and crafts. Bright and colourful heritage buildings line the town of Lunenburg, which is immaculately placed on a hill. The community is a UNESCO World Heritage site for its legacy as a working port. Along the waterfront, fishermen shovel ice and vessels dock throughout the day and night. The town’s most famous boat is the Bluenose Schooner that was built in 1921 and won many international races before sinking in 1945. A small island that lies 10 miles off the coast, there are no cars or paved roads on the island and it is mainly a fishing and lobstering Island. With a population of less than 75 people, during summer months, visitors take day trips from new Harbour, and Port Clyde, mostly to watch and admire the towns’ people fishing skills that are rather unorthodox and have to be seen to be believed. 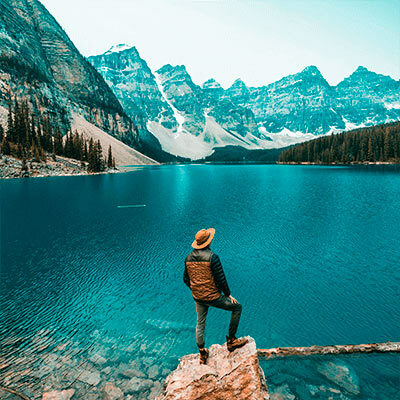 A tourist visa also known as a visitor’s visa is required when you want to visit Canada on a temporary basis, tourist visas can be for a period of up to 6 months to 5 years. At Canadianvisa.org our registered immigration consultants will help through the process of applying for your visa in a very professional manner.